Looking for fun music games for winter? 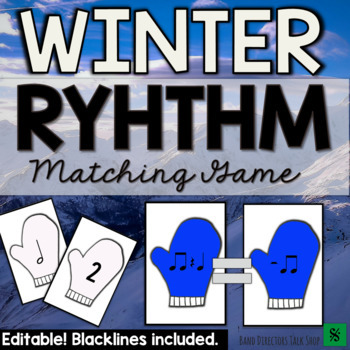 Your students will LOVE practicing note and rest values with this winter themed music math game! 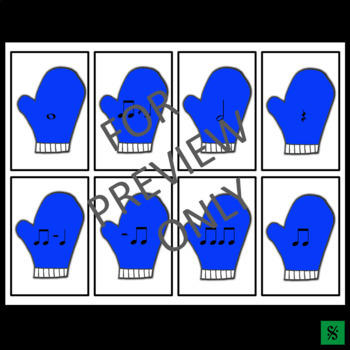 The cards can be used for playing our popular "find a partner" matching game or use for winter music center activities. Just scramble the puzzle pieces and students can complete the matches in groups of 2-3 kids. These make fun Christmas music activities too! 20 sets matching of cards (40 cards total). Copy more than one set of cards for game play with any class size. Black and White, ink-saving version- print on colored cardstock to add color! Editable blank extra cards- just download your favorite music note font! 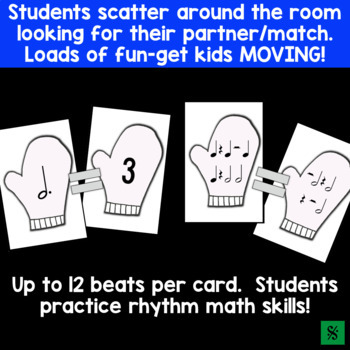 Students enjoy playing these winter music activities because they get to move around and help each other find partners – they are highly motivated! It’s unlike your normal activity and the change of pace makes it memorable! 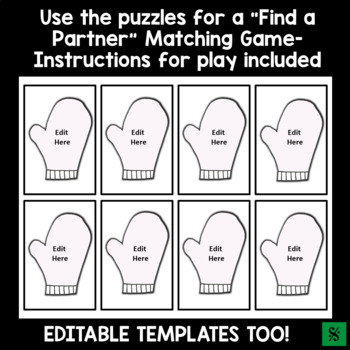 If you’re not familiar with the find a partner game, it’s very simple to teach. Each student gets a card. They add up the total number of beats shown on their card and they find their partner with the answer. For example: a quarter note is looking for a partner with the number 1. DETAILED instructions (with pictures) are included along with a number of ways to SIMPLIFY the game and a number of ways to make it more challenging. Centers and Scavenger Hunt instructions are also included in the "Ideas for Use." FOLLOW US FOR UPDATES ON NEW PRODUCTS, SALES AND FREEBIES! ⭐"I used this as review before a test with my middle school choir. They loved it!" For more great band ideas, visit www.BandDirectorsTalkShop.com.